Creative design, innovative engineering, precision manufacturing, and impeccable quality control — all under one roof! 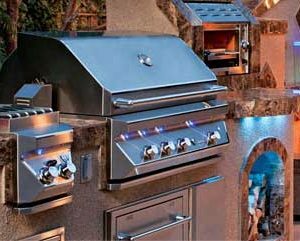 Twin Eagles develops, from design prototyping to testing to final production, gas grills and outdoor kitchen accessories. We carry the full line of Twin Eagles outdoor grills and accessories.